Stay and Play. It's not Just a House!! Where to find Omak hotels near an airport? 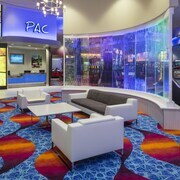 Where can I find hotels in Omak that are near tourist attractions? 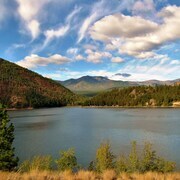 Are you arranging to spend time in Central Washington? 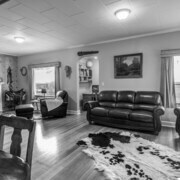 Hoping to find a place to stay in Omak? You'll find 6 Expedia-listed hotels located within a 0.1-kilometre (0.06-mile) distance of the center of town. The Rodeway Inn & Suites, is the perfect option for visitors due to the fact that it's it the most centrally located lodging choice in Omak. 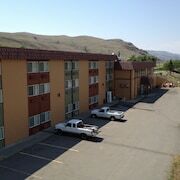 One of the small selection of budget-oriented hotels in Omak is the Omak Inn. 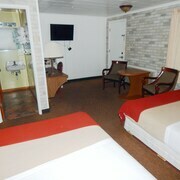 The Best Western Plus Peppertree Inn At Omak is situated 2 kilometres (1 mile) away from the middle of Omak. Another accommodation option is the Blue Mountain Motel, which is positioned 8 kilometres (5 miles) away. 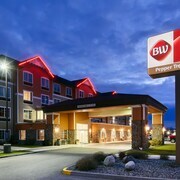 Other hotels include the Rodeway Inn & Suites and the Quality Inn & Suites Okanogan - Omak. For those inspired to see some more of the mountains and gorges common in this area, you could also book some extra days in other destinations in Central Washington. You can tour local points of interest or enjoy rock climbing and then find a suitable hotel to stay the night. The nearest accommodations in Central Washington are Chelan and Winthrop. Chelan is 75 kilometres (46 miles) to the southwest of Omak, while Winthrop is 50 kilometres (31 miles) to the west. 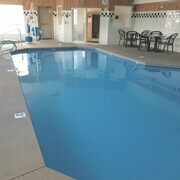 Hotels in Chelan are the WorldMark Chelan - Lake House and Riverwalk Inn. The Hotel Rio Vista and AbbyCreek Inn are amongst the hotels and apartments in Winthrop. If you are traveling into or out of Penticton Regional Airport and would like to stay nearby try Royal Bed And Breakfast or Penticton Lakeside Resort, Convention Centre & Casino. Are there hotels in other cities near Omak? 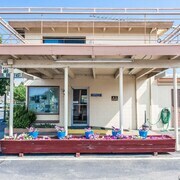 What other types of accommodations are available in Omak? Explore Omak with Expedia.ca’s Travel Guides to find the best flights, cars, holiday packages and more!